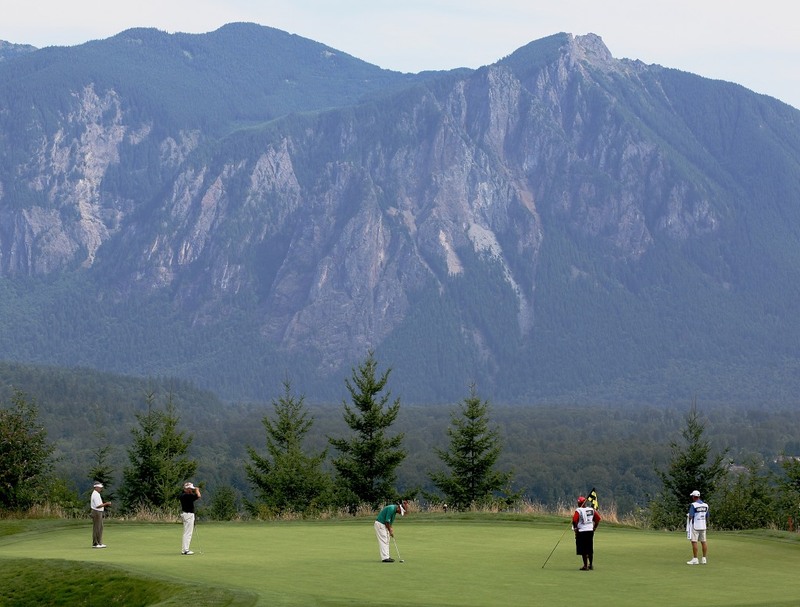 The Boeing Classic and TPC Snoqualmie Ridge have reached an agreement to keep the Champions Tour stop at the Jack Nicklaus-designed course at least through 2016. The Boeing Classic turns 10 this year and will be played Aug. 22–24. The tournament has developed into one of the most popular and lauded stops on the Champions Tour. It has won one of the Tour’s major awards each of the past four years, and in 2013 received the Tournament Business Affairs Award. In 2007 the tournament earned the Outstanding Achievement Award, in 2010 received the prestigious Presidents Awards and in 2011 was awarded the Players Award and to go along with last year’s first TBA Award. The tournament held its first event in 2005 and in just nine years has raised nearly $5 million for Greater Seattle charities. The tournament has one of the most unusual starts in all sports—a low-altitude flyover by a Boeing plane. The winner is presented with a bomber jacket in an 18th-green ceremony. Last year, the jacket was won by John Riegger and it was his first win on the Champions Tour.